Spuds are round creatures with leaf-like fans on their heads. They only appear in Wario's Woods, where they are the most common enemies in the game along with Squeaks and Fuzzes. They are very easy to defeat, as any chain of bombs can destroy them. 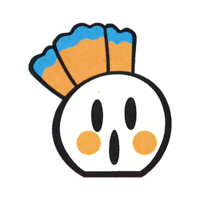 Spuds somewhat resemble the turnips in Super Mario Bros. 2. Spud's English name comes from a nickname for the potato. This page was last edited on November 18, 2018, at 12:49.